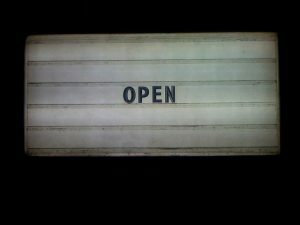 Open Gov > Countries > How about an open local government partnership? How about an open local government partnership? The UK government was a founding member of the Open Government Partnership back in 2011, and since then has worked with a growing Open Government Network of civil society activists towards becoming more transparent, accountable and participatory. When the government first joined the international initiative, only a few actors from civil society were involved in developing the national action plan – the two-year plan for implementing governmental reforms. As we approach the third national action plan, not only have the number of civil society organisations involved grown, but representation from the devolved nations has also grown. This is a major step forward. Every level of government should strive to be open, not just Westminster. The Centre for Public Scrutiny’s recent report therefore comes at an interesting time for the open government movement. Devo How? Devo Why? highlights the importance of transparency, accountability and involvement in the decisions made on devolution and the new governance frameworks set up amongst local and combined authorities. The report makes the point that greater powers vested in local and combined authorities should be accompanied by new structures to scrutinise these powers. The report also makes the point that the dynamic quality of devolution deals – devolution rightly means something different for different places – makes it even more vital to get the appropriate structures for each area to ensure accountability, transparency and citizen involvement. This is where we think the learning from the Open Government Partnership could be valuable to the local government sector. There are pockets of good open government practice which already exist in local government across the country, but they are scattered and often restricted to specific projects or small teams and departments. There is currently no mechanism or incentive for spreading existing or supporting new innovations in openness in local government. To this end, local government could consider adopting the Open Government Partnership model. The model, successful in bringing together 65 participating countries with diverse politics, governance and structures, could also work for a similarly diverse local government sector. As devolution brings a renewed focus on the best way to scrutinise a more empowered, independent local government, there could also be a focus on structures which more positively incentivise and support a ‘race to the top’ in open government reforms. It’s important that the UK open government movement doesn’t restrict itself to Westminster, especially in the context of greater devolution. For CfPS, now is the right moment to focus on creating the right culture in local government, which has accountability, transparency and involvement as the core operating principles from the off. An Open Local Government Partnership could play a role in achieving that aim. For more reaction to Devo Why? Devo How? read What chance democracy in devolution?